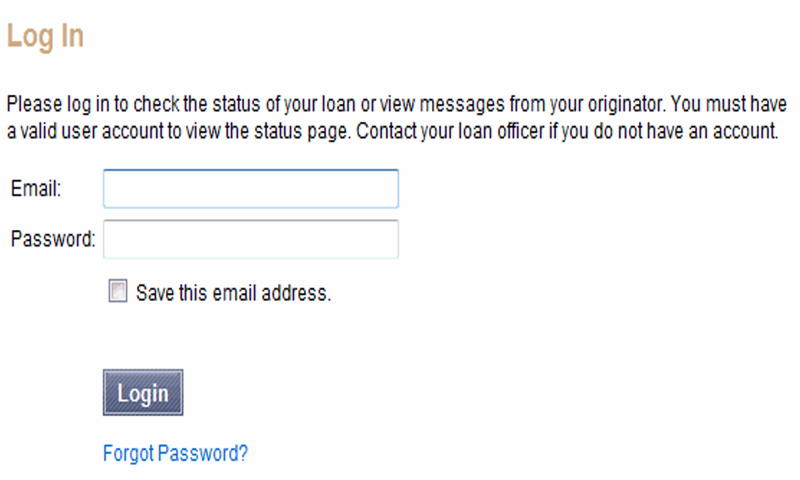 Here is an example of the steps you'll take when you receive a Documents to eSign message from your loan originator. 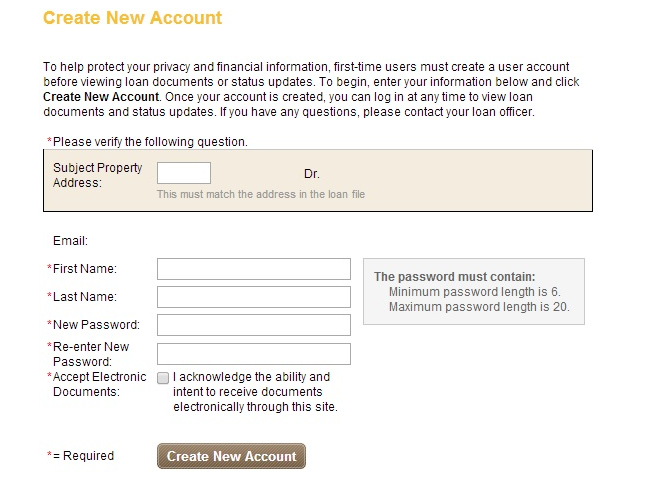 Follow these steps to log in to your loan originator's website and access the loan documents they have sent you. Note: Using Internet Explorer is recommended. Please do not press the "back" button in your browser while eSigning or opening the disclosures in multiple tabs. This may result in an error and the disclosures will not be able to be eSigned anymore. When your loan originator sends you a Documents to Sign message, you will receive an email like this one. Read the email, and then click the Click here to visit the website link. You will be taken to your loan originator's WebCenter website. If you already have an account, skip Step 2, go straight to Step 3. If this is your first time eSigning disclosures you will be directed to a page that looks like this. You will be asked to enter in the subject property address # as well as create an account. Please enter in just the #, not the whole address. Please use a password you can remember easily. Remember to check the box acknowledging the ability to receive electronic documents. After you create an account, you will receive another email asking you to click the link in your activation email. Once you have activated your account you will first be asked to consent to receiving electronic documents, then you may proceed with eSigning. Enter your email address and WebCenter password in the fields provided, and then click the Login button. After login to WebCenter, you will be asked to enter an authorization code. Your loan officer is required to create your Authorization Code and then tell you what it is. If your loan officer has not provided you with your Authorization Code, you must contact them to obtain it. Your Authorization Code is different than the password you created for yourself that you use to log into your loan officer's website. If you enter the incorrect code two times, you (as well as the co-borrower) will not be permitted to eSign the documents. After the second attempt, the fax cover sheet and the documents included in the message will automatically display. Print these documents, and then sign and return them to your loan officer. After providing your Authorization Code, click My Tasks, all documents are displayed. Click the eSign button next to your name to start the eSigning process. You can review the documents page by page, and then click the yellow signature arrow to apply your electronic signature. After you click the yellow signature point, your signature is added to the form. After signing all documents, click the Finish button to save the documents and return to the Loan Detail page. If there is a co-borrower for the loan, the co-borrower can click eSign button to start the eSigning process for the co-borrower. Your loan originator is automatically notified that the signed documents are available to retrieve and review. There are certain documents currently can not be eSigned. They must to be manually signed by all borrowers. Please scroll down and print any wet-signed documents. After manually signing and dating those wet-signed docs, either Fax to the number listed on the coversheet or upload them.